Absolutely no winners from last week. Most if not all can still be ordered online or found at your local shops. 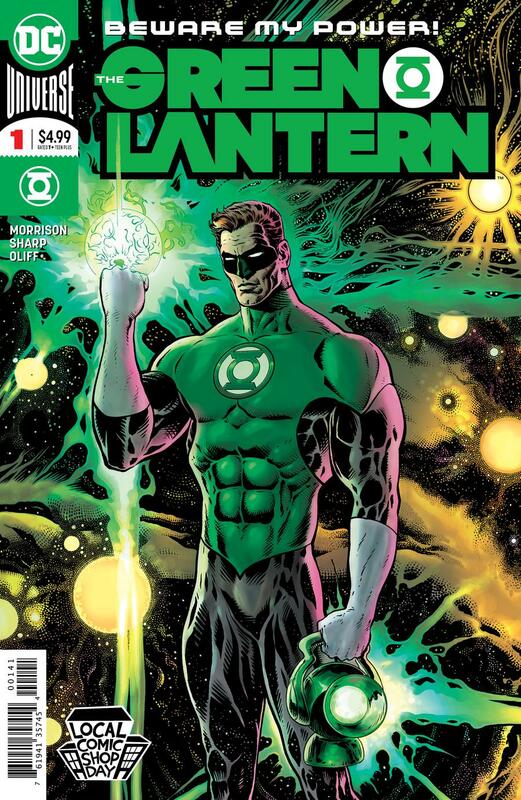 I will mention for those that were able to nab a Green Lantern #1 LCSD Foil Variant for cover price or cheap, these were flip winners as most are averaging sales around the $85 range. These weren’t part of the regular Wednesday release but instead part of the Local Comic Shop Day on Saturday, the day after Black Friday. Midtown has these for $50 so even at that price, one could still make some decent profit. The first winner was seeing some really nice pre-sales initially. This one goes to the Stephanie Hans variant for Iron Heart #1. This one seemed to simmer down but has gone back up as most recent sales are between $95 to $115 range. So if you got’em, now’s the time to sell’em I think. I can only assume unless Iron Heart takes off in popularity, these will drop in price before they continue to go up. I still don’t think this is her best work either. I might be in the minority but it just sits wrong with me. This next book sold out quickly online but if you missed out, now’s the time to possibly buy if you’re a fan of Gang-Hyuk Lim (not to be confused with In-Hyuk Lee). 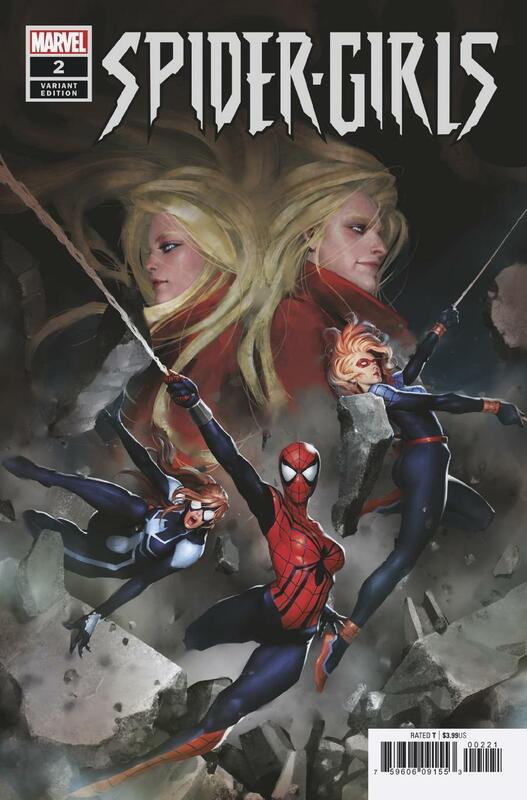 That goes to Spider-Girls #2 Gang-Hyuk Lim variant which is selling on average of $25 or less. Some shops put this 1:25 variant at a starting retail price of $30 range and these are found now for $20 or less with some listings. Another book that is seeing some success is the Daredevil #612 Campbell Variant . It retailed for around the $85 range (at least Midtown listed it at that much, it varies from retailer to retailer) but is selling for anywhere between $100 to $240. There was one sold listing at $9.99 but I’d imagine that was a total mistake, so whoever scored that sale on eBay should go buy some lotto tickets. Poyo says hold out though if you really want this Campbell variant in your collection. Daredevil will be back and I can only see this one dropping after the hype dies off a bit. At least it has one thing going for it, Daredevil doesn’t look like Mary Jane. The first book was mentioned last week as a pre-sales winner with a few sets of both covers selling at $50. Once these were released, the regular cover has settled to be on average a $20 book. 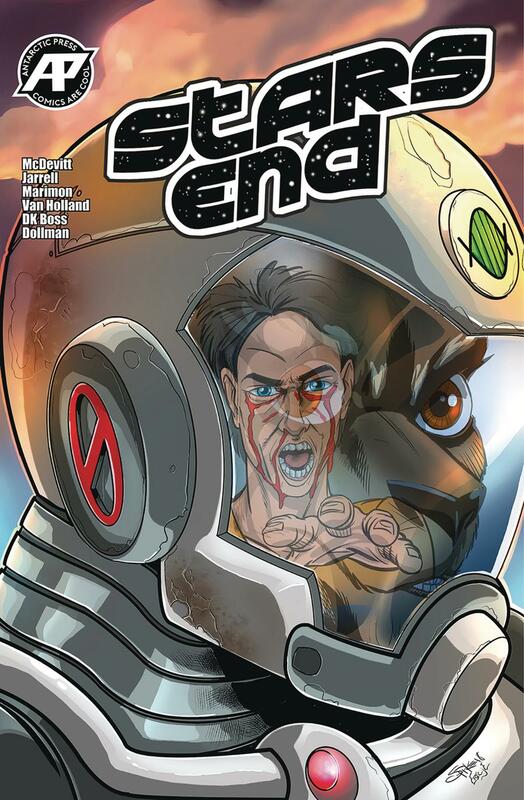 This is Stars End #1 , another book out from Antarctic Press who’s seen a lot of success lately starting with their self-published turn Antarctic book Rags . I just can’t stop talking about Rags. I might not understand why it’s selling like crazy but I’ve done really well picking these up at cover and flipping them. 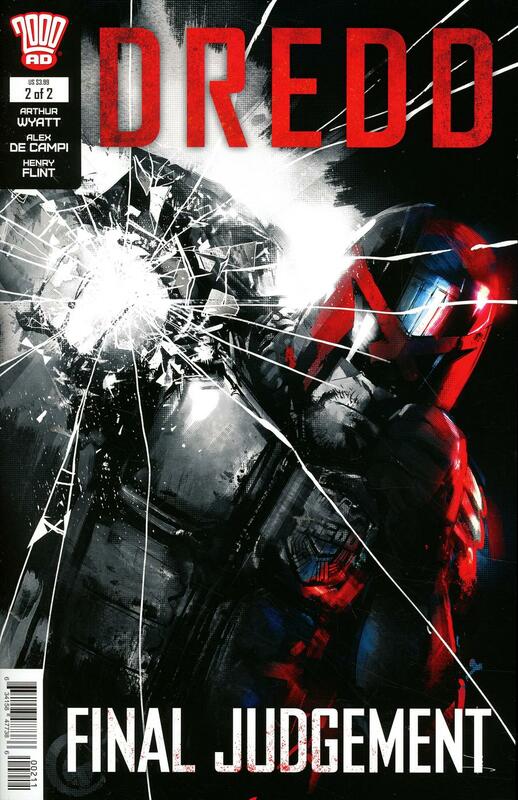 Dredd Final Judgement #2 Jock Cover did not see as as much success as it’s first issue but still was a potential hit book. Could be a long term gamble. Some were lucky to sell these at $12 average but a few MCS ebay sales putting this at $3.99 price range, seems most are lowering their prices. 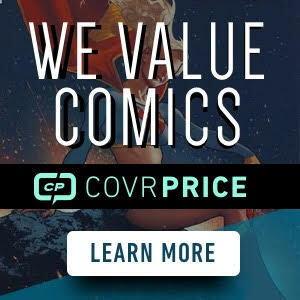 So if you missed out, now’s the time to buy at secondary market prices where you can score it at cover price or just a tad bit over cover price. Future Jock and Dredd fans will likely seek these out over time. I say buy now and hold for the future gamble. Monarchs #1 from Scout Comics sold out online at most retailers but it hasn’t seen much heat on the secondary market. Perhaps it’s a long term hold gamble. Scout has seen success when their books get optioned so might not be a bad idea to pick up a few for cheap gambling. 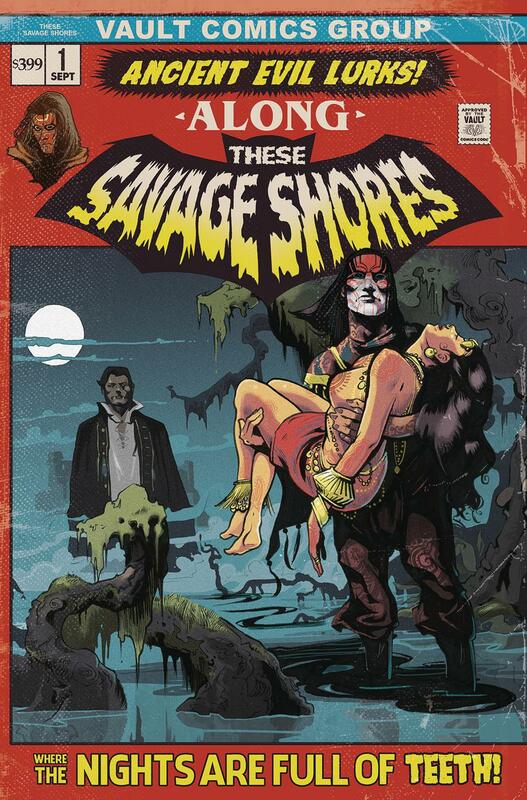 These Savage Shores #1 Second Print is seeing some success as a solid $10 to $12 book. With a great looking classic homage cover, it’s a nice pickup if you can find them. Keep it for the personal collection or sell at double the profit. 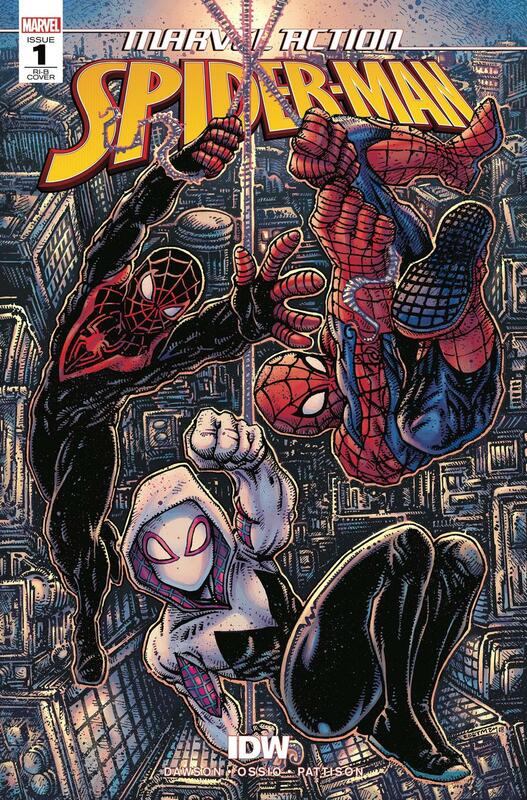 The last book to mention is the Marvel Action Spider-Man #1 Eastman from IDW . Talk about being happy I didn’t pull the trigger and spend $20 or so bucks when Midtown listed theirs. You can now find these at $15 or less on the secondary market. I love Eastman’s style with the Turtles so when he draws other heroes, I’m going be all over it as this was my favorite cover art from this week. If you missed out, buying on the secondary market is the way to go. That’s of course you found it for cover price at your own local shops. That’s all the highlights for this weeks review from books that came out on November 28th. If a book wasn’t mentioned, it’s likely because you can still find it at your local shops or online for cover price. I visited one of my local shops today and found that they are trying to sell their Stephanie Hans Iron Heart variant for a whopping $229 bucks. I have a feeling they’ll be holding onto that one for quite some time. Ultra pro or max lite bags and boards?? I actually prefer BCW bags and for Mylar I always go with E. Gerber Mylar bags and their archival grade backer boards, usually the full backer boards which gives it a little more protection with a thicker board to prevent any bending. Thanks poyo. I actually use BCW but lately it seems if it’s a thicker book it won’t fit or just seems extremely tight that’s what she said, and I’ve never used or can remember what the other brands are like. Yeah, I use to keep standard and or silver bags for the thicker books. Yeah, I use the Mylites 2 as well. Yeah, the half boards are really flimsy. Gotta go full backs. I use the E. Gerber mylars and boards too. Thanks CHU gang. Are those Mylites the top dollar stuff?? I can get 200 BCW bags and boards for $25. Or 500 Max Pro for $55. Those mylites seem to be $30 plus for just 100……. I think I pay around $15 for the Mylites and $15 for the Full Backer Boards, 50ct each. Not sure how much these sell for at other shops but that’s the price at Austin Books here in Austin. Kevin, I suggest you order some with full backs and judge for yourself. You won’t put all your comics in them, but maybe your most expensive raws and other older books which may benefit from their archival qualities. That’s what I do, only the books I intend to keep in PC and around for the long haul. Or any books that are $50 + value. Thanks D-Rog. I’ve been wanting to rebag and board my entire collection and get organized. A hot book gets mentioned that I know I have but I have no idea which box. I do have a short box of keys that I’d probably never sell that I’ll try those bags on. Bad week when it is just about all incentive variants. Not good for the hobby. Not all were incentive variants, it was split in half. I’m not counting the GL LCSD issue. I’m getting really tired with the variants. Especially Marvel and their “flavor of the month” themes which add characters to the cover that have nothing to do with the contents or story. The only exceptions are the DC killer Bs which at least are open orders and characters are in the book or part of the story arc. Y’all are all 100% correct. Let me jump on the soap box and say I’m sick of all the spidey stuff. Too many spider things. I miss the 1st series of amazing Spider-Man. Remember after venom came out (#300)he didn’t make a cover for almost a year. Now venom would be on 38 covers in 2 weeks. This is the same thing that ruined Sports Cards back in the 90s for me. When it turned into nothing but the chase for special inserts. 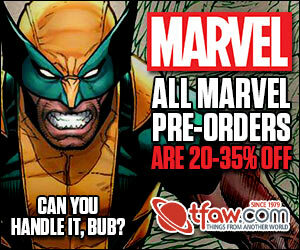 Marvel wants people to buy 2 or more of the same book to reap larger profit margins. They can claim it’s about giving people options but we all know that’s false since they don’t do open orders for a majority of their variants. In the business, we call it “manufactured collectibles” .. you know, like the Franklin Mint .. don’t forget that Marvel prints plenty of copies and just a month or two ago, Diamond blew out Marvel Variants to Dealers at half off cover .. I love when you shed light as someone who owns a store. Well, I think an Informed Collector Public is a good thing .. I’m not against folks making a few shekels .. it’s the guy at the bottom of the Pyramid that generally gets burned .. and, Marvel is not going to set up the presses and run “only enough to fill orders” ..
And, as Alana mentioned, and with which I happen to agree .. it’s not the best thing for the hobby .. my motto is “Remember the 1990’s” ..
Yeah, slabbed copies have taken a pretty good jump the last several days as well .. Anyone see the JSC Conan the Barbarian Unknown comics store excluse cover its pretty awful looks like Vampirella with muscles. He does a good Rogue in the background, but don’t understand why the X-men are on a Conan cover. You think that one is bad? Check out Eastman’s Conan variant – horrid. Looks like an amateur con sketch. I am becoming a big fan of Gang-Hyuk Lim. His covers of Domino and #7 and #8 are awesome! 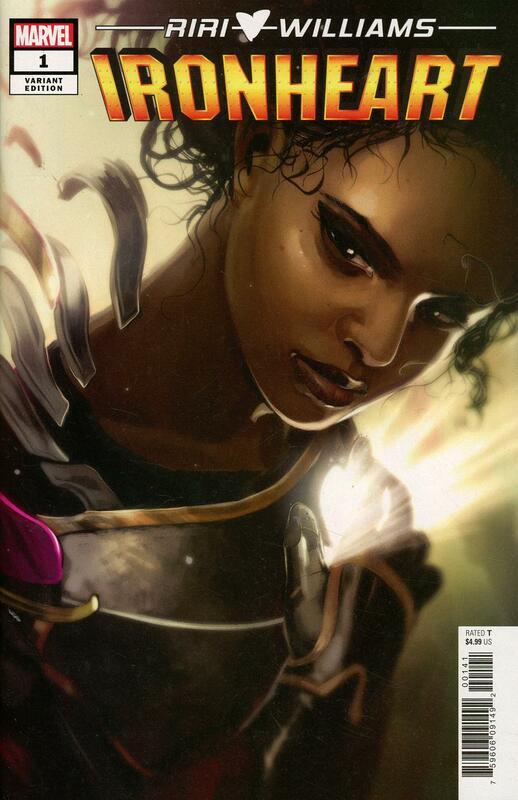 I really like Domino #7 by Mr. Lim however the majority will say Domino #8 is better. I am keeping an eye out for this artist, I have a feeling he may be on the cusp of heating up! But seriously, take a look at his Donimo covers if you haven’t seen them yet. Really nice! Seems all the Hyuk’s are knocking their cover art out of the park recently. There’s a Jango Fett cover that’s an open order by Hyuk that’s closing next week. Art hasn’t been released. Anticipating it. I guess that’s lee. Not Lim. Going to hi-jack this thread for a moment. Kind of related to the bag discussion above. I need to give the wife some ideas for xmas. I’d like some short boxes for my comics. But I use the silver age egerber mylites which measure at 7 3/4 inches wide. All bcw boxes measure at 7 5/8. Other than boxes for graded comics, are there boxes that will fit the silver/gold mylites? You could always go with the Magazine Boxes but I think they’re measured at 9″, which gives a little wiggle room that I know myself don’t like if the comics and shift around (cause then in a packed box if they slightly shift, you can end up with that awful long box line across a cover of a book that shifted too far left or right and the comic in front of it was mashing). You could always get some thin foam that lines one side to keep the comics straight though with no shifting, just make sure the foam is made of safe inert material (like the type coin collectors use to store with their coins in oversized holders) that won’t cause more harm to your books over time. Yeah, that looks like the best way to go. The graded comics are narrower at 8.5 inches, but taller by a few inches. thanks.